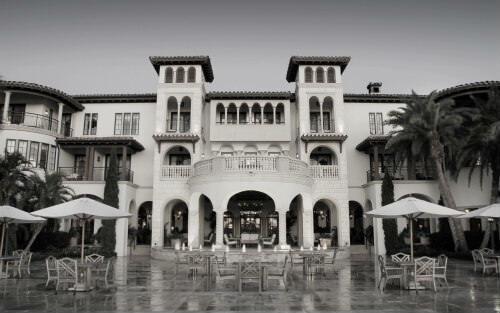 Sea Island has a gorgeous scenery and a dynamic history. The combination of these two details make it a fascinating place to call home, for those looking into Sea Island, Georgia real estate. The Cloister is a historic hotel in the area, and at a simple glance you can see why the location is so significant. The gorgeous Cloister was originally commissioned and opened in 1928 by the auto industry mogul Howard Coffin. The eye for the details that helped bring Coffin’s dream to life was the architect Addison Mizner, whose Spanish inspired designs have since gone on to shape the architectural style of the Sea Island area as a whole. A glimpse at the entryway of the Cloister sparks the imagination for past regality, and makes plain why the Cloister was such a favored haunt over the years for the wealthy and glamorous. The Cloister stood strong through the Depression era, though not because it was unaffected. The local community is really responsible, as the Sea Island Company that owned much of the property in the area, including the hotel, began issuing its own form of payment to employees distinct from the US dollar—at a time when the banks were temporarily shut down. This meant that a semi-autonomous economy was still able to run, from the grocery store to the local gas station, and it truly helped to support both the Cloister and the community during hard times. After the depression, the reputation of the Cloister only grew in its public acclaim, hosting dignitaries and public figures, including then-General Dwight D. Eisenhower and his wife. It even served as a wedding destination for Sarah Churchill, daughter of political powerhouse Winston Churchill. In 2004, it served as the site for the G8 Summit, where world leaders from around the world came together to discuss policy. There are many gorgeous gems like the Cloister that are a part of the coastal Sea Island, Georgia real estate pool. Choosing to live or purchase a second home in this scenic, idyllic area will allow you the chance to walk the sands and take in the sights of great figures that have come before you. Contact DeLoach Sotheby’s International Realty to learn more about your home buying options.